OAKLAND, CA -- Kevin Durant is joining All-Stars Stephen Curry and Klay Thompson with the Golden State Warriors. 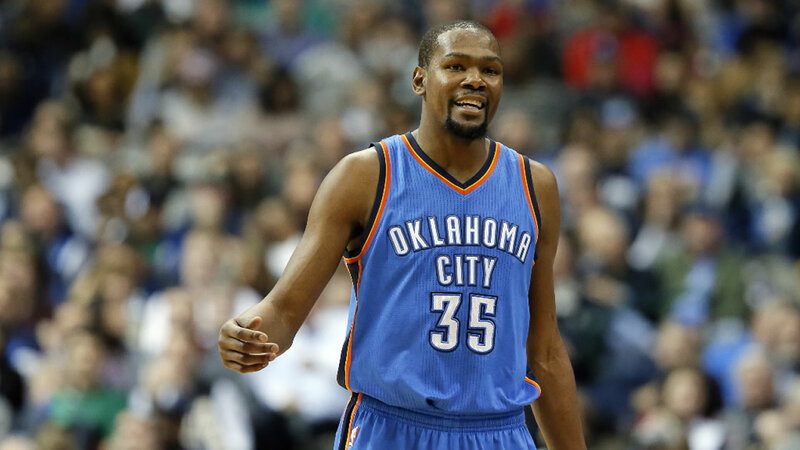 Durant announced his decision Monday morning on The Players' Tribune Monday morning. He can't officially sign until July 7. His decision has been the most highly anticipated move of the summer. The 2014 MVP and four-time scoring champion led the Oklahoma City Thunder to the NBA Finals in 2012, and to the Western Conference finals in four of the past six years - and he's only 27. He recovered from a broken bone in his right foot that cost him much of last season to post one of the best years of his career. Curry and Thompson were part of the contingent that sold Durant on the Warriors during a sales pitch in The Hamptons on Friday. Golden State set the NBA record with 73 wins and led the league in scoring. The Warriors fell just short of a repeat NBA title, however, losing to Cleveland in seven games. Adding Durant improves Golden State's chances of getting back to the top next year and dealt a crippling blow to the Thunder, one of their top rivals in the West. Oklahoma City had a 3-1 lead on the Warriors in the conference finals before losing the next three games. Durant has had to carry much of the scoring load for the Thunder over the years, but having Curry and Thompson next to him would open up space to operate that he hasn't had during his tenure in Oklahoma City. Durant has been a difficult adversary for the Warriors -- he averaged 30 points per game against them in this year's Western Conference finals and dropped a career-high 54 points on them in 2014. At least one point of view suggests there's more to life than pro ball.